Pippa Morgan is the Executive Vice President, Retail Division of Aritzia— an innovative women’s fashion boutique. Founded in 1984, the company has grown organically to include boutiques across North America. Pippa began her tenure at Aritzia in 1992 as a 19-year-old sales associate and quickly rose through the ranks in retail management positions of increasing responsibility. Under Pippa’s dynamic leadership, Aritzia has grown from a local retailer with five Vancouver-area stores to a sophisticated and admired retail brand with more than 80 locations in key cities across North America including Vancouver, Toronto, Montreal, Los Angeles, Chicago, Boston, and New York. Pippa embodies (and has helped shape) Aritzia’s core values of creative thought, discipline, passion, commitment, and initiative, and she serves as an inspiration to young sales associates in the organization. She travels frequently to work directly with her team and is a passionate advocate for the empowerment and advancement of young women. 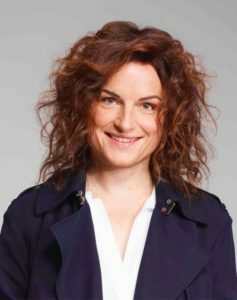 Pippa is an active member of the Retail Council of Canada and the Ryerson University Ted Rogers School of Retail Management Advisory Council and is a frequent speaker on the topics of retail management and women in leadership. In addition, Pippa invests in our community as a mentor to young women through the Minerva Foundation and an advisor to Canuck Place Children’s Hospice Gala Committee. Pippa earned a Bachelor of Arts degree from the University of British Columbia and lives with her husband and two young sons in Vancouver, British Columbia.